A small plane has crashed behind the Indian River County Jail, according to the Sheriff's Office. The agency tweeted a photo of the aircraft, with the tail number N9219J, in a grassy area. 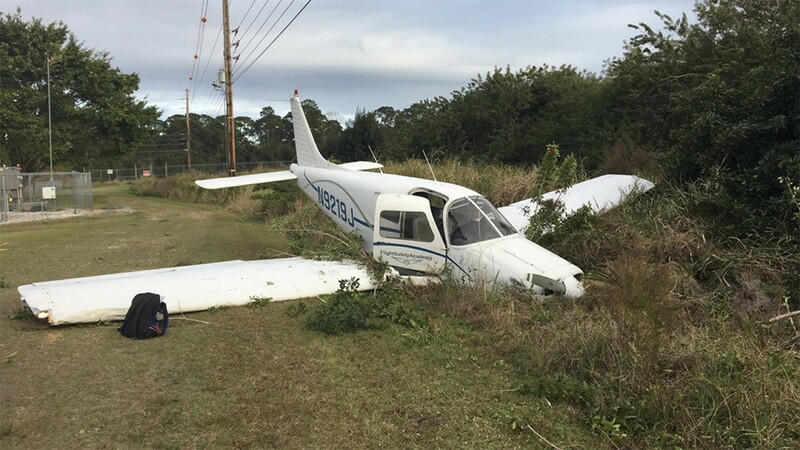 INDIAN RIVER COUNTY, Fla. — A small plane has crashed behind the Indian River County Jail, according to the Sheriff's Office. The agency tweeted a photo of the aircraft, with the tail number N9219J, in a grassy area. The Sheriff's Office said the plane crashed by the jail Friday, just to the south of a retention pond. The pilot was trying to land on a jail access road because he couldn't make it to the airport, the agency said. He landed in a grassy area, then the plane hit a ditch and turned around.